Luxury Global Adventures | Everest Base Camp, Kilimanjaro, & More! World Wide Trekking is an adventure travel company focused on safety, comfort, and giving back to the communities in which we travel. We offer life changing experiences and invite you to join us on an adventure designed for your success. Trekking for more than 10 years, we provide adventures all over the globe from Nepal to Tanzania and even Peru. Explore the wonders of the world on our Everest Base Camp treks, African safaris, Kilimanjaro climbs, and Machu Picchu hikes. We offer life-changing adventures all over the world & specialize in customized treks! With a stringent commitment to safety as our number one priority, we guide our guests through a rewarding and comfortable travel experience. We travel all over the world and ensure that our guests have a safe and rewarding travel experience no matter where we go. In fact, we possess one of the highest safety records in the field. Our adventures are led by professional, medically-certified western guides and supplemented by the very best English-speaking local guides available. At World Wide Trekking, the word luxury encompasses all aspects of your adventure from accommodations and lodging, to the food you eat during your trek, to the vehicles that transport you to and from your incredible destinations. Our level of service and attention to detail set us apart. We are committed to providing a truly remarkable travel experience rarely found elsewhere. We focus on all the tiny details — because they matter. Through guiding, Dean Cardinale witnessed first-hand the poverty and scarce resources in the communities which welcomed him. He made a commitment to include humanitarian efforts as a component of all future expeditions. In 2007, this commitment led to the formation of Human Outreach Project (HOP), a 501(c)(3) non-profit charitable organization which now seeks to empower communities and children year-round, not just when our guests are in town. We recognize the opportunities we have to positively impact the local communities where we operate and we are committed to doing just that. Our sister company, The Human Outreach Project (HOP), was founded on this commitment. 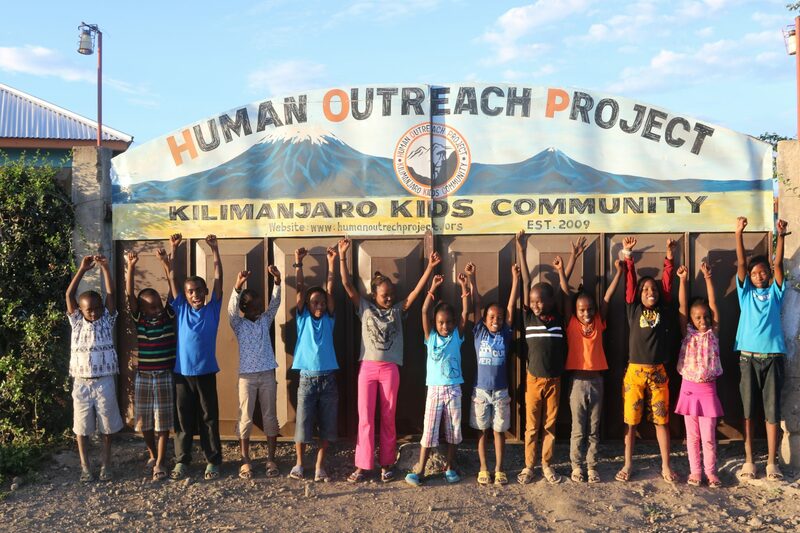 With a particular focus on youth, HOP has partnered with communities surrounding WWTrek expedition sites in Tanzania, Nepal, Peru, and at home in Utah to identify local needs and co-create sustainable solutions to improve local health and education. Through HOP, we are dedicated to empowering communities and children year-round, not just when our guests are in town. I want to personally thank you for visiting our website. World Wide Trekking began in 2006, founded from a desire to share my passion for adventure travel. My experience includes over twenty years of traveling, trekking, and guiding all over the globe. We want to share the world with you and help you to accomplish your goals. We offer a unique travel experience and a level of personalized service that one rarely finds. My team and I assure you that we will be with you every step of the way. As an avid adventurer, I understand the stresses and excitement that coincide with travel. Please feel free to contact me personally, at any time, regarding any questions you may have or if you simply want to touch base about a trek or adventure. Above all, we truly believe that your experience lies at the heart of our adventure. We know each guest is different and has unique desires, so please, let us make your adventure what you’ve always dreamed of. Hear what people are saying about World Wide Trekking. It was a dream to make it to the top of Kilimanjaro, and with your help that dream was realized! As a bonus we had a wonderful safari. A great trip with a great company. We especially appreciate that you took care of us, before and after the scheduled trip. You made this trip a true highlight in our lives. We have been on many fun adventure trips over the years, but the three trips we have taken with World Wide Trekking have met and exceeded our wildest expectations! Still not convinced? Click here for more great benefits offered by World Wide Trekking. We are committed to providing you with all of the information you’ll need to prepare for the adventure of a lifetime. Our service begins well before the date of your trip, and we are here for you every step of the way. Check out our Trek Tips Video Series to learn about the trip & country you’re interested in. Use our Fitness and Nutrition Plan and personal trainer to get ready for your climb. And call us anytime to chat with an Adventure Specialist to get all your questions answered! Our Planet… We Guide It, You Trek It!